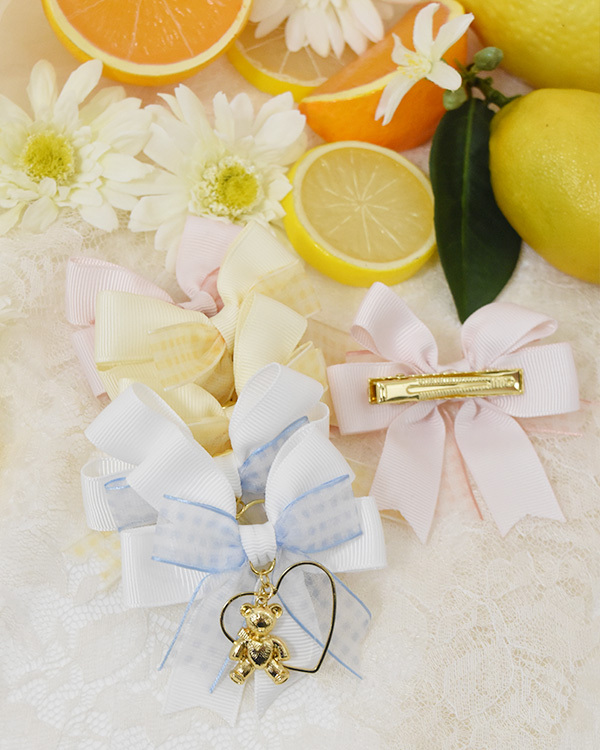 2 clips set with a cute bear motif. Gingham ribbon and a heart hoop attached to the center! Recommended with the matching 'Heart Lemonade' series!